We make a case for the 1998 classic to be readily available in the U.S. Although not one of Nike's flagship runners, the Air Max Plus is one of the brand's most important runners for a number of reasons. The beautifully designed Air Max Plus by Sean McDowell helped Nike usher in Tuned Air cushioning, and has been arguably the most fashionable and casual runner since their original introduction back in 1998. We've seen the classic model celebrated by Nike a number of times with countless retro releases, but almost none in the United States. Although much more popular overseas, the Air Max Plus still has plenty of fans who'd like to have easy access to them in the United States. First off, the Air Max Plus itself serves as the perfect model to celebrate the history of Tuned Air in the United States. WIth the community of collectors quickly growing in the US, there is plenty to be learned about the unique cushioning set-up by the younger generation the U.S. Not as popular as Nike's other cushioning options, the appeal of the Air Max Plus provides the perfect opportunity to catch the attention of those who were once unaware of Tuned Air cushioning, or didn't care for it much at all. As made evident during the Air Max Plus's original release, the classic runner features what could easily be the best canvas for unique and storytelling colorways. We've already seen a number of gradient looks released by Nike over the years, perfectly highlighting the model's key features such as the flowing rubber overlays and Tuned Air cushioning set up. Upcoming European releases continue to prove this, with great 'Sunburn' and 'Paradise' themes already on the way from Nike Sportswear. 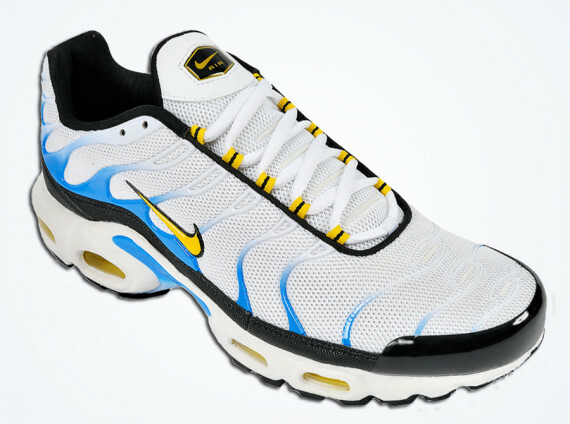 Most importantly though, the Air Max Plus is a Nike shoe that even the most average person is familiar with. I can't tell you how many times I have had non-sneaker collectors ask me when will they return, or where can they get a pair? Unfortunately, I've never had a legit answer for them other than go to eBay, or find a European connect. And even if the Air Max Plus wasn't such a recognizable shoe, they're still only a collaboration away from catching steam thanks to their timeless design and visible tech used by Nike. Either way, its only a matter of time before we begin to see Nike Sportswear treat the U.S to more colorways of the Air Max Plus. We've already seen the original 'Hyper Blue' colorway make a return stateside, along with a selection of refreshing colorways released exclusively at Champs Sports. How do you feel? 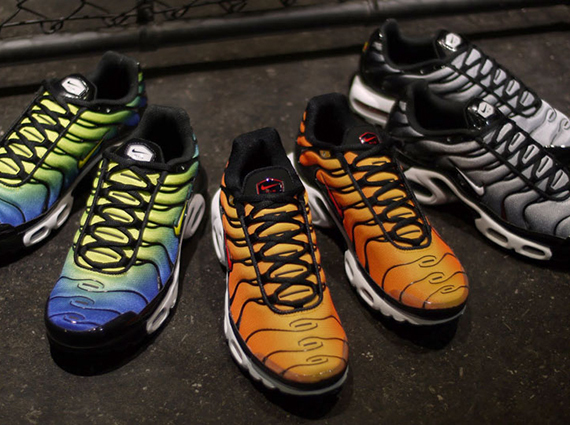 Would you like to see Nike Sportswear introduce more options for the Air Max Plus in the U.S? 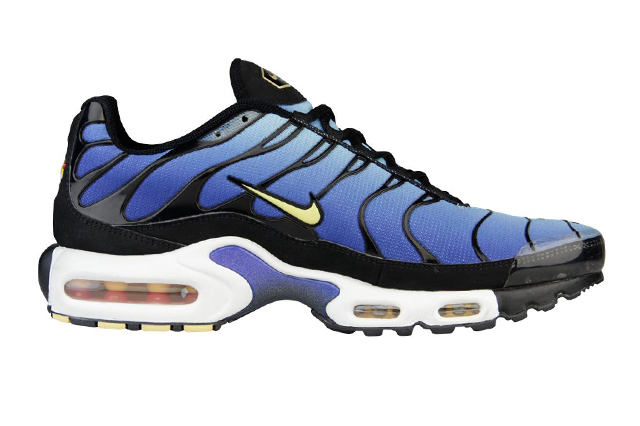 Or do you feel they should focus on other yet to reissued runners before turning things up with the Air Max Plus?